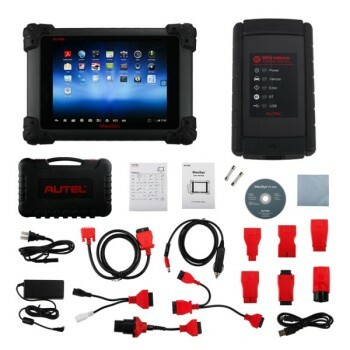 Here is a step-by-step update instruction of original Autel MaxiDiag Elite MD802 4 system/full system diagnostic scan tool. This function allows you to update the scan tool software through a computer. How to register Autel Elite MD802 scanner? User would update the scan tool ONLY after you had registered the tool on our website: www.maxidas.com. Then you could download software, update online, retrieve information and get warranty service. 1. Log in Autel official website www.maxidas.com. 2. Click on the Update tool bar at the top of the screen, and then select User Register. Or click on the 3. Updates column in the lower right corner of the screen, and select Register. 4. The Register Information interface appears. Please read through the instructions, and click on Agree to continue. 5. Enter the Product SN (Serial Number) and Register Password, and click on Next. 6. Follow the windows prompts to finish the registration. NOTE: You can click “About” to check MD802 scanner information. 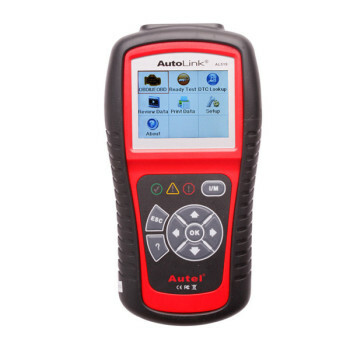 How to update Autel MD802 Diagnostic scan tool? 2. Make sure that your computer is connected to the Internet. 3. Load the SD card of the scan tool to your PC. 4. 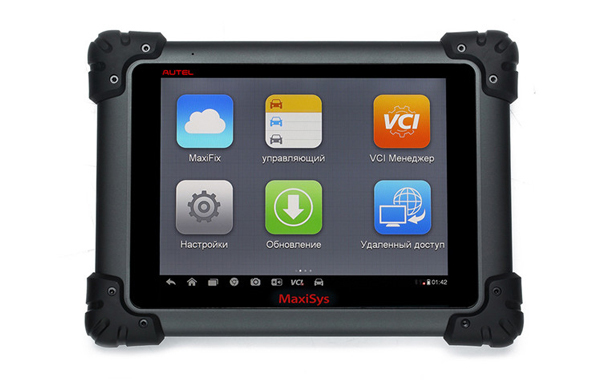 Run the Autel MaxiDiag update option in Check-Elite PC Suit software. Wait for the Log In window to pop up. 5. Enter the user name and password and wait for the Update window to display. If you forget your password unintentionally, you may always click the [Forget your password?] to link to our website and find your password back. In the Autel Elite MD802 Update window, select the items you want to install. Usually, you should install all available updates. Select the programs that you would update by clicking on the check boxes next to those items. Then click the Update Selected Items button on the right side of screen. Or, click on the SELECT ALL checkbox on the right side of screen and all updatable items will be selected automatically. Then click the Update Selected Items button on the right side of screen. Check the updating process by observing the upper left progress bar [downloading] and upper right progress bar [installing]. You may also find progress information in the Status column of updated items. Anytime you could click the Pause button on the right side of screen to suspend all progresses, and the state of those suspended items would change to STOPPED. To resume updating process, you may need to select those 63 suspended items again, then click the Update Selected Items button. The progress will resume from the break point. When the downloading is completed, the downloaded programs will be installed automatically. 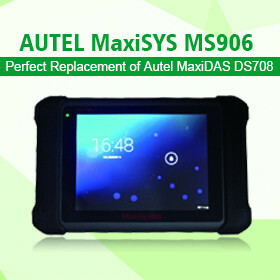 The new version of Autel MD802 will replace the old version. Find the desired updating item and click the INSTALL button in the same line. With updating in progress, the INSTALL button changes to STOP. Anytime you could click the Pause button in the line to suspend this progress, and the state of this item would change to STOPPED. To resume updating process, click the INSTALL button in the line again. The progress will resume from the break point. When the downloading is completed, the downloaded program will be installed automatically. The new version of Elite MD802 will replace the old version. Autel Maxidaig scanner support one year free update online, but after one year, you need to order Autel MD802 one year software online update service (130 USD). Click on the Installed Programs tag entry and the page will show the list of programs installed. Select the program(s) that you would delete. Batch delete: Select the programs that you would delete by clicking on the check boxes to the left of those items. Then click the DELETE button on the right side of screen. Single delete: Click the UNINSTALL button in the line of your would-be-deleted program. A window asking “Are you sure to delete the software?” will pop up for your confirmation. Click on Yes to delete the program(s) selected, or on No to cancel the action. Theoretically, all programs in latest versions will be automatically compatible with the older versions, but if your scan tool do have a compatible problem and want to retrieve the older version for some programs, you may need to delete them first then install the older version again. Choose older version from the pull-down menu of program version. 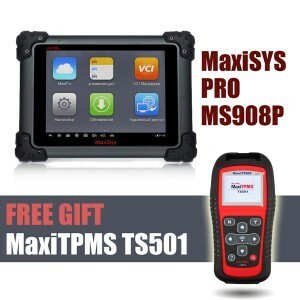 What‘s version or type MBStar Diagnostic software runs faster?